Sweetwater Sound is renowned among musicians not only for great deals on music gear, but for being remarkably hands-on and personable in our increasingly anonymous digital era. Sweetwater knows the value of music in building a community. That’s why Sweetwater has decided to play a major role in spreading Make Music across the country. Over the last four years they have spread the word to hundreds of thousands of customers, and have become the driving force behind Make Music Fort Wayne, bringing bands, play-alongs, and family fun to Friemann Square in their Indiana hometown on June 21st. 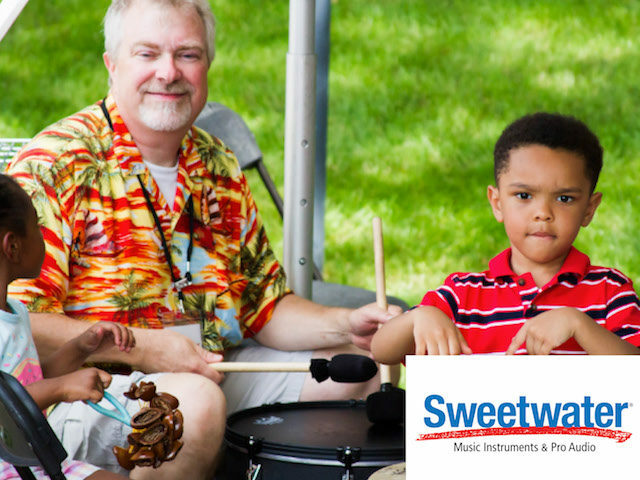 The Make Music Alliance thanks Sweetwater for supporting Make Music Day!